Abram went to war with only 318 servants of his training against four kings. He went to battle to rescue Lot. After a mighty victory, he was greeted by two kings: the king of Sodom and the king of Salem. 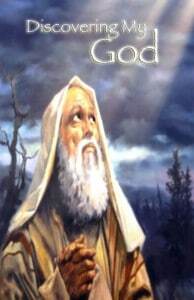 He chose first to meet with the king of Salem, Melchizedek, who was priest of the Most High God, El Elyon. This priest seems to have shown Abram that his great victory was the blessing of El Elyon and Elohim (Genesis 14:17). Abram was a herdsman and a nomad. He knew Jehovah, but when he went into warfare, he met Elyon and Elohim. When you go to war for the sake of others, you meet God in a new dimension and power. You discover His name and character in ways you have not known before.